The 100+ hour Leadership Long Beach Institute program is offered annually from August through June. The program provides principled leadership development class session that emphasize integrity, vision, personal responsibility, commitment and community trusteeship. Through panel presentations and interactive communication/learning sessions led by community leaders and subject experts, participants learn about current issues pertaining to the local economy, government, education, media, healthcare and social services and connect with the individuals and organizations that are making a difference in Long Beach. 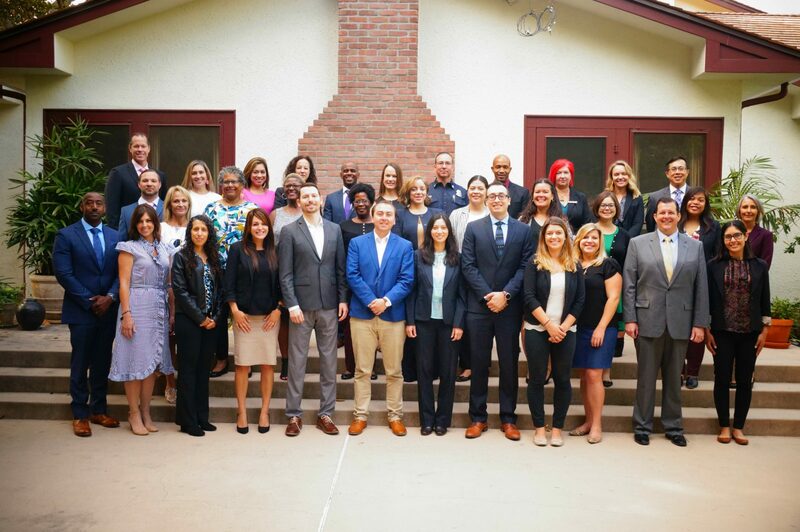 We are currently accepting applications for the LLB Institute Class of 2020 the 31st Class of community leaders. Below are the dates for upcoming program - beginning in August 2019. A full commitment of participation is expected, including required attendance at the orientation (August 26, 2019) and leadership retreat (September 6-8, 2019). A REQUIRED Orientation Session will be held August 26, 2019. A REQUIRED Class Retreat will be held September 6-8, 2019 in the Big Bear Area. Ten full-day seminars are held the first Monday of each month from October 7, 2019 through June 1, 2020. All program session days are scheduled to meet from 8 am to 5 pm, including Orientation. Absences from class are discouraged, and all participants are required to comply with absentee policy. Group Projects are an important element of the program. A significant amount of time outside regular monthly session time is required during the last six months of the program to strategize, organize and complete these community benefit activities. The results of the class project process will be shared with an audience of friends, alumni and invited guests on the evening of June 1, 2020. Tuition - $3,500 is due by August 2, 2019. This amount represents only a portion of the costs required to produce the principled leadership program. Applicants are responsible for the tuition whether an employer or organization expressed intent to cover this expense. Accepted candidates will also have an opportunity to apply for partial tuition discount. The discounts are typically designated for candidates from nonprofits, small businesses and individuals applying on their own. Discounts range from $250 - $1000. There are a small number of $1,500 scholarships available for eligible candidates. All applicants will interview with the LLB Selection Committee panel. Interview times and dates will be communicated to applicants upon receipt of their application. Please click here to view/download the LLB Class of 2020 Commitment document that all selected participants must complete. Complete the next two pages for the LLB Institute Class of 2020 application.